Stainless Steel Quick Change Shaft size 0.20 inch. Our turbo Drill brush set is the best multi surface heavy duty all in one pro cleaner that you can find in the market. Forget about unhelpful silicone plastic and microfiber fresh pads and just regular hand held brushes that dont work. 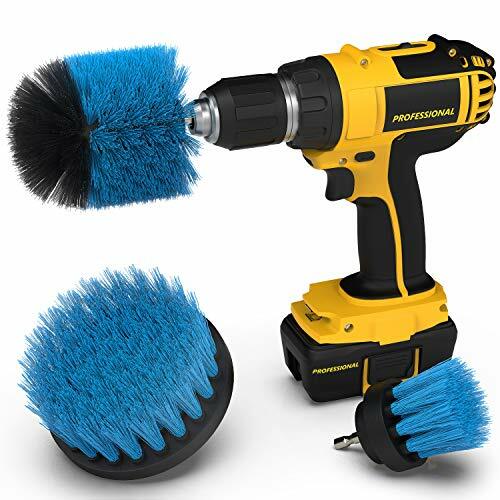 With our brush set you can use any battery powered drill bit head power operated device and auto polish even hard surfaces like stone, tube jet, toilet bowl and more like magic . If you have any questions about this product by Brison, contact us by completing and submitting the form below. If you are looking for a specif part number, please include it with your message.